Tonight is game night! Destiny is still the hot thing right now so of course we will be playing more tonight! 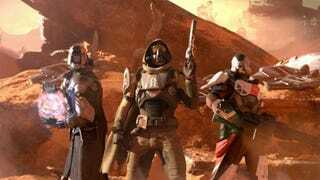 Officially starting at 9:00 PM EST (but probably starting beforehand) we will be playing some Destiny. I'll be your host on Xbox One but I may need someone to host a second fireteam if we get a lot of people. My gamertag is Brett1157 so add me if you would like to join. Alternatively, xSpiegel will be hosting on PlayStation 4. His PSN ID is xTheBiohazard. We still need hosts for 360 and PS3 so please sign up and I will list your info here! Be sure to check out the full September schedule here and please sign up to host if you see a game night you want to participate in that has no host listed. You can also find all your favorite TAYers on the TAY Gaming ID Spreadsheet!